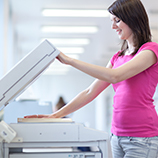 A copier machine is a vital component of a business’s operations. When the time comes for a new copier, businesses are faced with the decision whether to buy or rent a copier. While in certain instances it may be wise to invest in a copier, sometimes renting a copier can be more beneficial. At Business Equipment Rentals, we offer some of the best copier machine rentals in New York and the surrounding areas. For some businesses, copier rentals can be worth the benefits, and in this blog, we will review how renting a copier can benefit your small business. Copier machines depreciate over time, losing value due to excessive use as well as the continuous introduction of newer, better technology. Rather than buying a new one, choosing to rent a copier gives your business the option of upgrading to a newly-released and more advanced model during your lease period, ensuring that you and your employees have access to the best modern technology. Copier rentals enable more efficient business operations, helping increase profit and returns on your lease investment. Typically, copier machine rentals do not require down payments, leaving your business with no up-front costs. While purchasing a copier will require up-front payment, leasing a copier allows your business to save money for other needs while making affordable monthly payments on your rental agreement. Many companies pitch their old copiers when they are no longer useful, unaware of the long list of regulations regarding safe disposal of technical equipment that can make the process time-consuming and costly. 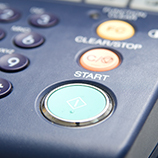 Renting a copier provides a distinct tax advantage over purchasing one. If you buy a copier machine, you may only deduct the machine’s depreciation. However, lease or rental payments are typically deductible as a business expense on your company’s tax return. However, when you choose to rent a copier machine, the burden and hassle of proper disposal is put in the hands of the rental company. If your business has a tight budget, renting a copier can alleviate your concerns! Instead of making one big payment at the time of purchase, renting a copier machine establishes a regular schedule of much smaller payments, allowing your business to better arrange the necessary financial resources — you may even choose the length and terms of your rental arrangement to offer the most flexible payments. When you work with reputable office equipment rental companies, when your copier machine rental has issues, you won’t have to worry about any expenses related to repair and maintenance. Plus, if a problem is unable to be resolved, the company will be able to offer a replacement. Contact Business Equipment Rentals To Learn About Our Copy Machine Rentals! If you are considering a copier lease or rental for your small business, choose Business Equipment Rentals. 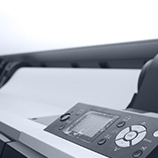 We provide some of the best copier machines available, all at affordable monthly prices! To learn more about our copier rental programs or to request a free copier quote, contact us today!